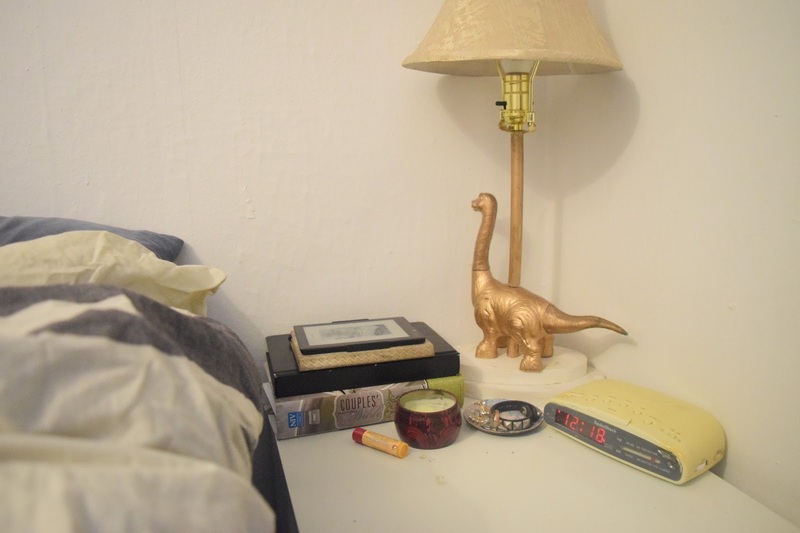 In third year of university, I made this adorable dinosaur lamp. 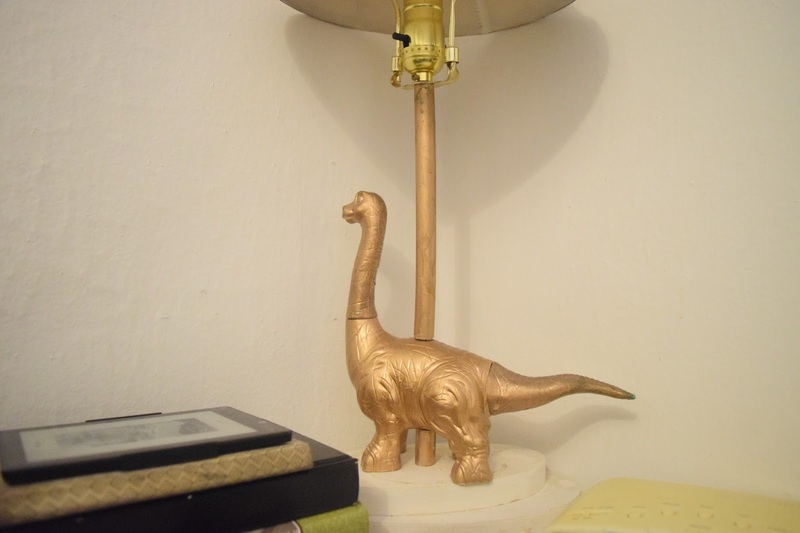 I bought a lighting kit from Home Depot, found some plastic dinosaurs at the thrift store, picked up gold spray paint, a lampshade from the thrift store, and used a scroll saw to create the wooden base. Making a regular lamp is obviously a little easier (but make sure to read the instructions to do the electrical parts!) because there’s less drilling and sawing etc. The awesome thing about making your own lamp is that you can have whatever base you want: I’ve seen people drill holes into piles of books (aaagh how!? ), mason jars, pieces of driftwood… The sky is the limit. Every day that I look at my lamp I feel super proud because I made it. Here are some YouTube tutorials to give you some tips on how to make whatever lamp you want to make! You can also check out my “Lights” board on Pinterest. This one is the most similar to how I put my lamp together. You’ll notice that for the height of my lamp I have some plastic tubing (probably leftover from a plumbing project) that was the correct width for the base of the lightbulb to sit on. This means that you don’t see any of the wires except the ones coming out of the base. I hope to make this or something similar to it when we get a bigger place, because it’s so art deco! These two girls are so great at their explanations for their DIYs, and super creative. Rachel has an example of when you wouldn’t even be using a lampshade. Her style is super cool and minimal, so that’s always an option.